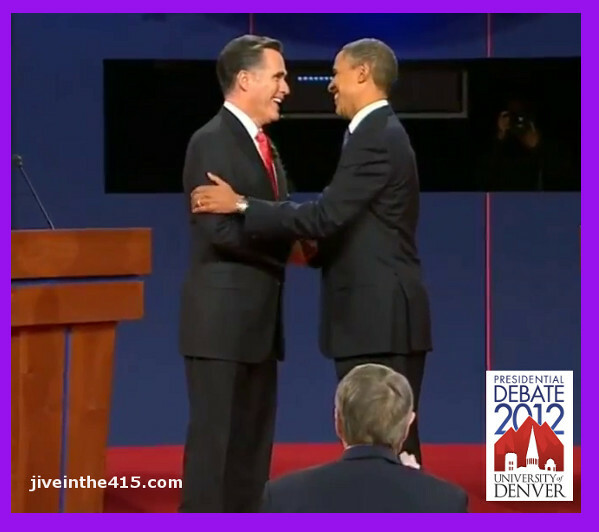 Denver, Colorado --- Last night was the first Presidential debate between Willard Mitt Romney and President Barack Obama, at the University of Denver. The topic of the debate was domestic policy issues. PBS Newshour anchor Jim Lehrer explained to the television audience the debate format. He said there would be six 15 minute segments, with one question a segment and 2 minute responses from each candidate - with 11 minutes of free form discussion and debate per segment. Unsure of the format, but eager to see some fireworks, I sat back to watch it unfold. Quite frankly it was largely bland and boring. Both candidates regurgitated what we already know. As per usual -- Romney fudged the facts, and Obama was way too nice. Some will say that Romney was the winner, and some will say Obama was the winner. In my humble opinion, the true winner of the debate last night was the American people. In our ailing democracy, any time that two candidates with diametrically opposed points of view, stand before the voters to articulate their vision for the future, it’s a very good thing. While Romney appeared energetic and on his game, the fundamental truth about where he stands on the issues remain unchanged. The vulture capitalist former one term governor of a small state said nothing substantive in any of his answers. The handful of statistics he was aware of are part of his stump speech, that he makes multiple times a day, as he campaigns. Does that 90 minute performance qualify him to be President? Hell no. Republican spin doctors will spend the next couple of weeks until the next debate, saying that Romney won the debate. I disagree - because Romney never addressed the 47% of people he’s written off. He didn’t acknowledge that he wants a 2 trillion dollar military build up to go to war in Syria and Iran. He won’t give specifics regarding the tax deductions and loopholes he would eliminate - because he’d eliminate the mortgage deduction - and he doesn’t want voters to know that. President Obama was not at the top of his game. He seemed tired and not as focused as he normally is. Does that change anything? No it doesn’t. He articulated what he believes in, and made it clear that he will continue to fight for middle class Americans. It’s easy to forget that President Obama has a day job. He’s the President - and has to do that job 24/7 - so it’s not surprising that he was not his normally effusive self. Romney has been running for President for 5 years. That’s all he does, with his 20 million dollars a year in passive income, so he’s able to practice for the debate for weeks. When someone asks you who won the debate last night, which invariably will happen, remember my answer. This election isn’t about them, it’s about we the people, and what we want. We the people. We won the debate last night.